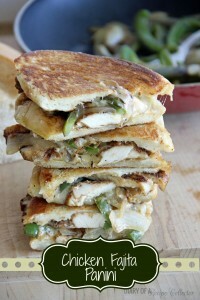 Chicken Fajita Panini – Two favorites combined to create one awesome sandwich with a great fiesta ranch sauce. You guys have got to try these! They are wonderful! 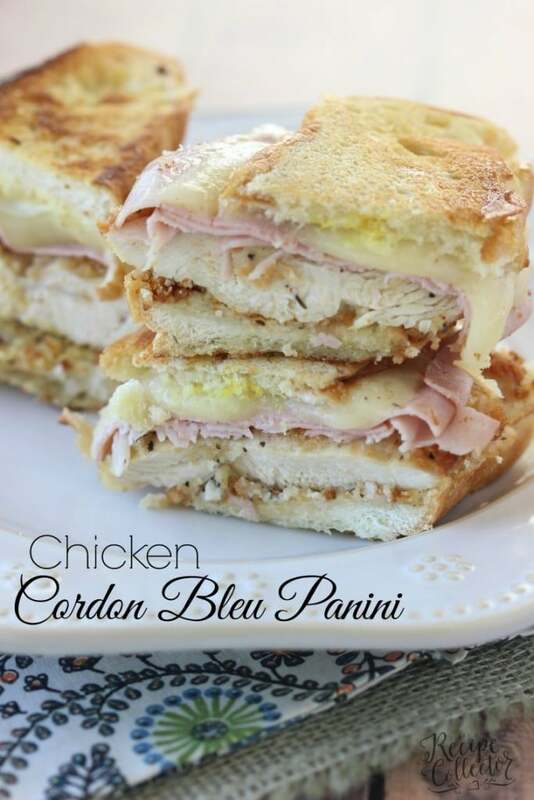 I’m all about finding a new panini to try. These have an awesome fiesta ranch mayo that really makes these! Plus they come together really quickly. As I grilled the chicken outside, I sauteed the veggies inside all while managing three kids…which happened to all be content doing something at that point. It was bliss. My 2 year old was not having her usual 5:00 melt down, so I was able to cook supper drama-free and even snap a photo! In a ziploc bag, season chicken with 1 tbsp olive oil, chili powder, cumin, salt, and pepper. Seal the bag and mix around with hands. Preheat grill over medium high heat. Grill about 4-5 minutes per side or until cooked through. Let chicken rest a minute or two once removed before slicing. While chicken is grilling, saute onion and bell peppers in about 1 tbsp olive oil. Mix mayo and fiesta ranch seasoning mix. To assemble: Spread mayo on each slice of bread. Top one slice with sliced chicken, peppers and onions, 1 slice of pepper jack(cut in half) and other slice of bread. Drizzle a little olive oil on one side of bread. Grill in a pan olive oil side down over medium heat until golden brown. (Press it down with another pan as it grills. Drizzle top with olive oil, flip and grill the other side until golden. Cut in half and serve. I could sink my teeth into this right now. For breakfast!!! 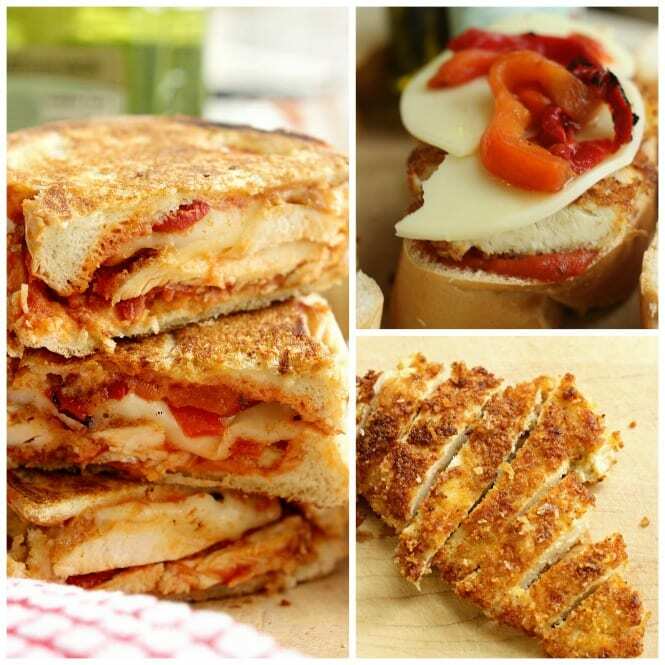 I love paninis! I mean…love LovE! These look fabulous and totally up my alley. Oh my! This is a must try! These look amazing, Jaren! I love ranch and fajitas, so putting them together sounds so good. Yum! This panini looks amazing! And with a fiesta ranch sauce?! Yes, please! Pinned!